Tabouli, or Tabbouleh, is a dish that originated in the Arab world and was adopted by Lebanese culture. 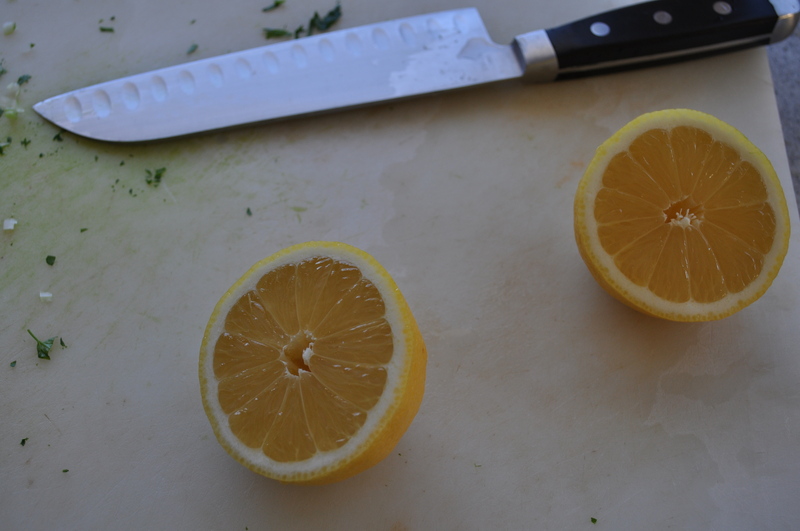 It traditionally contains tomatoes, parsley, mint, onion, olive oil, lemon juice, and salt. 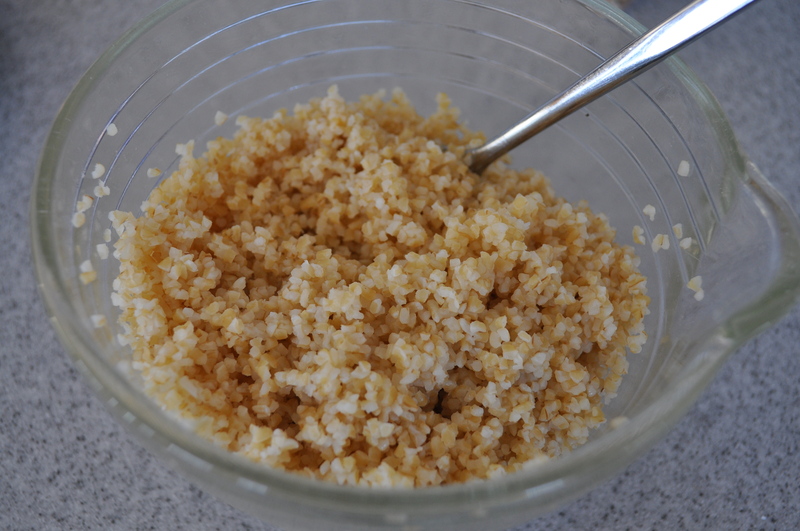 Bulgur is often added, as well as garlic or lettuce. This particular recipe was inspired and based on a salad that I had while in Moscow, Idaho. I was gearing up for the 5 hour drive home, so I thought “what better place to grab lunch than the local food co-op?” I couldn’t pass up the colorful, fresh looking Tabouli salad in the deli and I sure didn’t regret it! It was so tasty that I had to re-create the recipe at home. I took a picture of the ingredients list for reference and went from there. Enjoy! 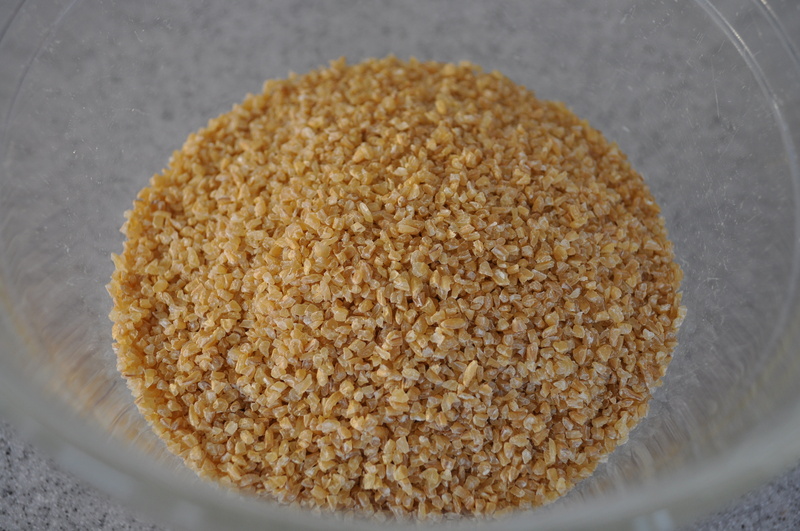 Cover bulgur with 1 1/2 cups boiling water and soak for 30 – 40 minutes. Drain off excess liquid and fluff with a fork. 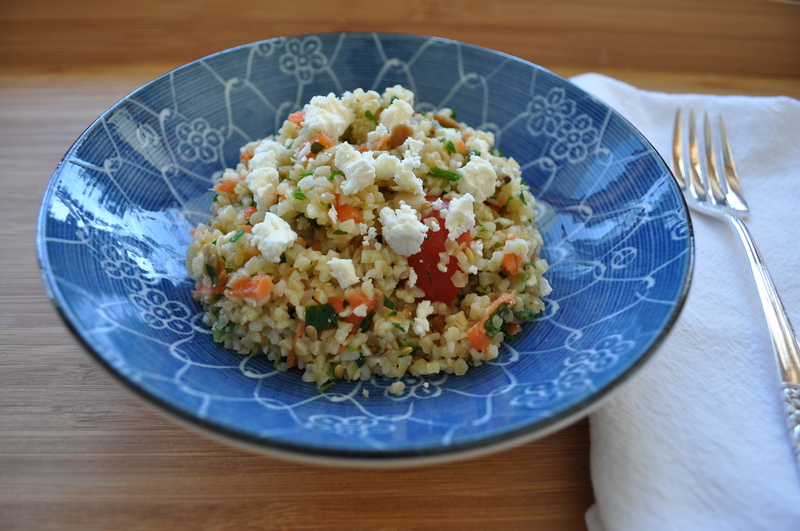 Combine bulgur, parsley, green onion, and carrot. Mix until evenly distributed. In a separate bowl, whisk together lemon juice, olive oil, garlic, and sea salt. Pour over bulgur mixture and stir to combine. Add cherry tomatoes, feta, flax seeds, and sunflower seeds. Stir to combine. Serve cold or at room temp. Top with an extra sprinkle of feta if desired! This was delicious! Got to have it for lunch…..very fresh tasting. Would be great as a side with fish. Hey! 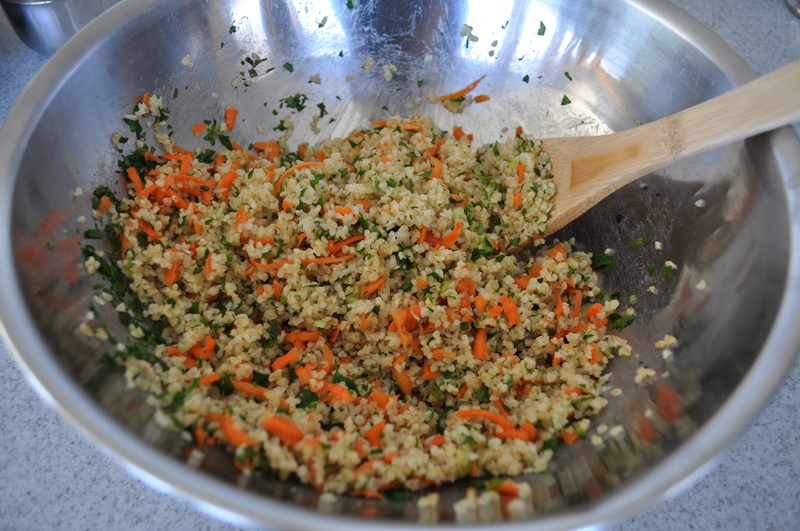 I live in Moscow and love the tabouli at the CoOp… I cant thank you enough for this recipe.